This feature allows the user to perform multiple tasks simultaneously, like in smart televisions. In this feature, the screen will be divided into two halves which mean you can play a video and do another task simultaneously. For including this feature in your project, you have to specify the user behavior while switching apps. If one of the apps include video, you have to change the code to handle playback, else updating is not required. Smart text selection is the result of Google AI. It will help people to perform tasks related to text selection. It will make the selection task much easier, one need not select the whole content. When you will tap on a phrase, it will be selected automatically. This feature will work for all apps, by default. Autofill framework is a boon for e-commerce Android app developer. It will enable the app to pull from user data and suggest for different form fields while will make the login process easier and faster. This feature is also available by default, but the performance can be optimized by the developers. It is a special version of an open source TensorFlow software library that helps mobile apps remain fast and small with machine learning. With the introduction of this feature, no app will go on Google play store without examining its security. The apps will be scanned every day to overcome threats. Android O will run escalating security checks even on the unofficial app store. It will allow the users to check for malicious apps and even search for a lost phone. Major improvements in Android O includes improvement in boot time of Android devices, memory management, battery consumption, and overall performance. The boot time of Android O on Pixel is two times faster than Android N. Though there are limitations such as background executions, location sensing and scanning for wifi networks. Google has launched the dashboard on Play console which will help the developers to check their app’s performance, identify issues and overcome them. It will also play a major role in app optimization and to grow the user base. 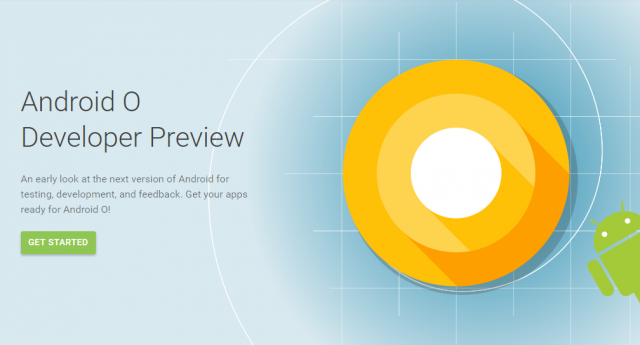 It is a new OS for low-end devices which is a lightweight version of Android O, designed for the smartphones with 1 GB or less RAM. The apps available on Play Store will also be optimized to run on low memory devices. Lightweight apps can be published with this feature. It will also allow users to experience app without downloading and installing them. In addition, it will also help the developers to drive revenue without a download. This feature is a total savage for some users as it will display notification badges to show pending notifications without opening the app. These are some of the amazing features of Android O. You can also share your knowledge and experience with us by commenting below. We would love to hear from you.